Singer Island Real Estate :: Homes & Condos for Sale in Singer Island, Florida :: Vacant Lots, Land, Beach Cabanas, Boat Docks, etc. Singer Island Homes & Singer Island Condos List by "Subdivision Name"
Singer Island Real Estate Properties by "Price Range & Type"
Singer Island is an island in Palm Beach Country, Florida. This island is on Atlantic coast of Palm Beach and has a population of 27,923. This Island is known for its white sand beaches, hiking, and marinas. It is named after the discoverer of the island Peter Singer, a son of Isaac Singer who was an owner of Singer sewing machine. 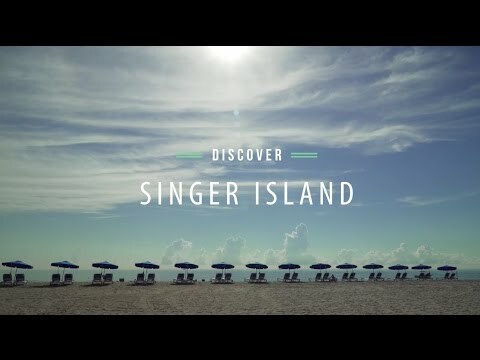 Singer Island was originally purchased by the Peter Singer for his mistress but unfortunately, she reportedly didn’t like it. Now, this place has picturesque and pristine living lifestyle for condo owners. The highest condo in Singer Island is of 42 stories. Singer Island has a trademark of its serene white sand beaches which is the best source of attraction for the tourists to relax have a sunbath. If you love swimming and want to explore underwater life, this is the perfect spot you go and make dips in warm temperature water. Pura Vida'' is known for its best staff and trainers who train and help you seek underwater life by scuba diving experience and this place should be on your 'Go To' list. 'High Point paddle adventure' is also best known for its paddling experience throughout the beaches where you can surf and have your boat tours. In addition to this, there are wellness centers and Spas where you can relax after having hectic busy official life in metropolitan cities. Si-Spa is the famous spa to experience here. The Garden Mall is an attraction for shopping lovers, over 160 shops of brands are here. You can shop, eat and play here. Picture a selective Island bragging the most charming four miles extend of sandy shoreline and that is the place you will discover the Hilton Singer Island Oceanfront/Palm Beaches. It is a 'Gem' of Palm Beach County. This hotel and resort offer best and dreamy accommodation for a Florida dream vacation. To make your trip more interesting and pleasurable, enjoy good food with fine dining locations. The five best eateries in Singer Island are 'the Islander Grill & Tiki Bar', Pizza Lino', 'Guakamoles Mexican Grille & Cafe', 'Sailfish Marina & Resort', 'Two Drunken Goats Beach Cantina', 'Johnny Longboats and Agora Mediterranean Kitchen' are famous in Singer Island. However, Two Drunken Goats and 'Coconuts on the Beach is known for their electrifying nightlife and night events. If you found a daytime sunny, go to these places at night and enjoy every moment of your night by listening to live music, bars, and social gatherings. The weather here remains fluctuating but mostly cloudy even in the summer with a high humidity level. As beach areas are prone to humidity. The real estate is comparatively high over here and usually, consists of condos. People invest here and make their source of income from this as a tourist spot is always profitable.